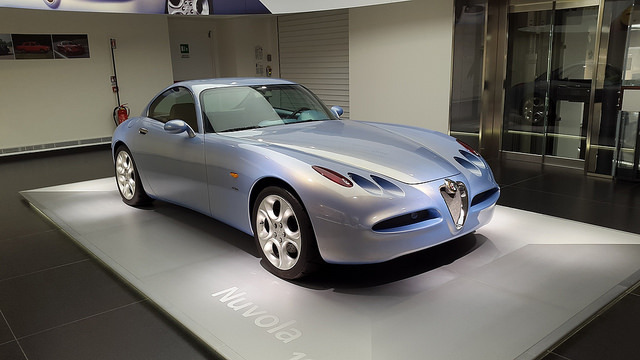 Alfa Romeo reminds me so much of Saab. Until I get to the present-day part of their respective stories, of course. Historically, both brands appealed to a narrow slice of global drivers. 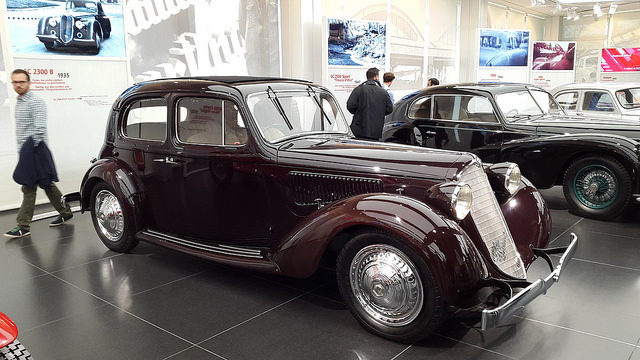 Both brands produced cars that were quirky, unique, and distinctive, if unabashedly imperfect. In my own experience, Alfas were a yuppie’s choice. An import, but not so expensive as a Porsche. Again like Saab, with a loyal following. Sure, the Germans make technically more precise and capable autos with better residual values. But where’s the passion?! In different ways, this was the unofficial message of both Alfa Romeo and Saab, albeit from different backgrounds, different cultures, and with (now) very different fates. 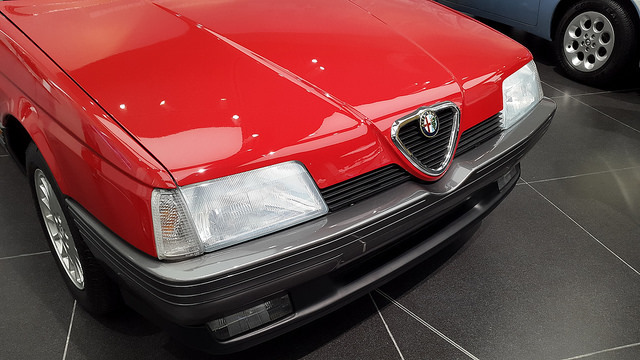 Alfa left the U.S. market in the late 90s, while Saab soldiered on until dying somewhat abruptly at the hand of General Motors, who never quite understood the Swedish brand. Volvo managed to escape the blunt force of Ford’s inability to do much other than utility vehicles, with new owners Geely. 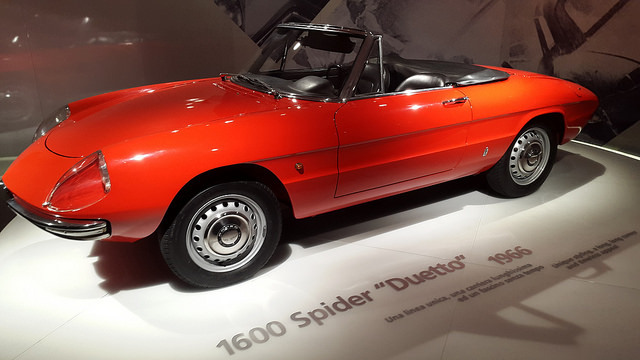 Alfa is now owned by Fiat-Chrysler Group, which encompasses a family of brands like Maserati and Jeep. 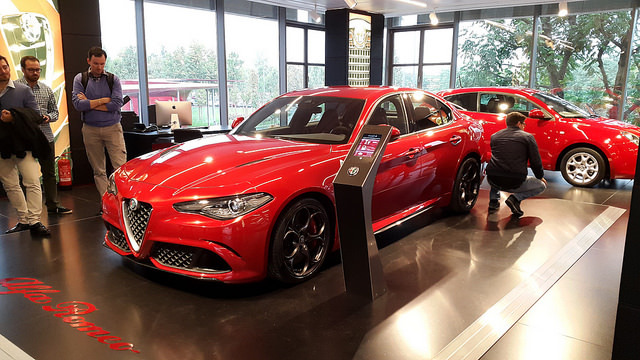 Though unseen on showroom floors in ‘merica in nearly 20 years, Alfa has sold cars in Europe and elsewhere across the world all along, though many have been duds. Part of this is also the doing of G.M., which previously worked with Fiat Group on shared platforms. The positive traits about late model Alfas, namely style, are spoiled by poor reliability and questionable build quality. 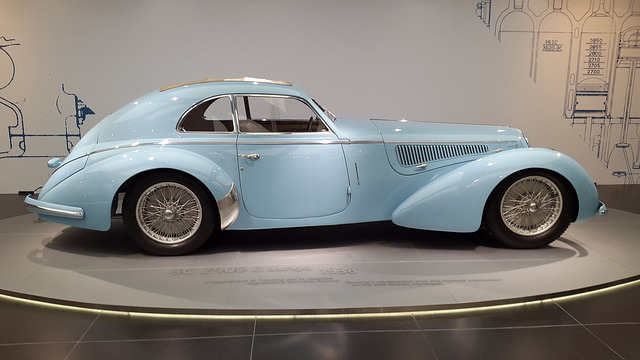 Alfa is a quintessential Milanese marque, and its legacy is centered around speed. Early in its life, the company won something like 750+ races around the globe. 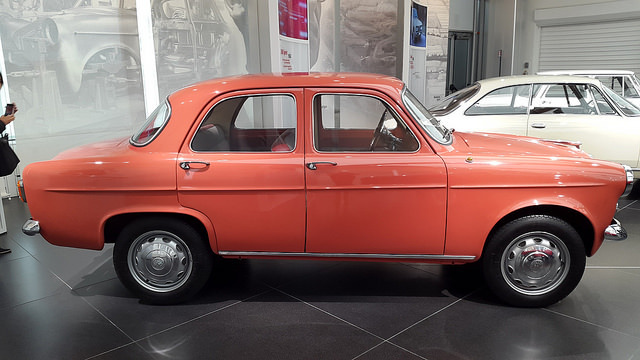 Like Saab, it knew how to make engines, and became popular for making cars that people enjoyed driving and being seen in. But, little else. 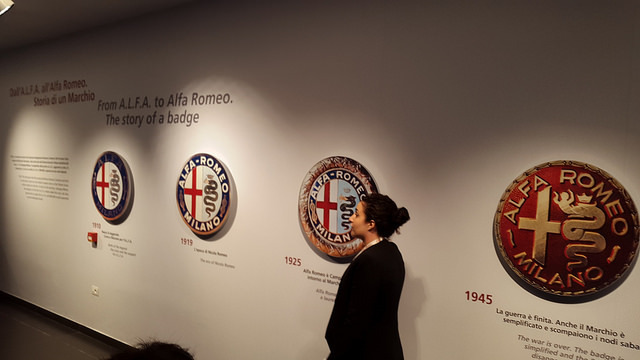 In a way, Fiat plans to relaunch the Alfa brand. That isn’t their official comment, but with a brand-new model that is for the first time, not a niche sports car or an economy hatch, they hope to entice some BMW M3 and Audi S4 buyers away from the sterile technik, for something a bit more organic, humanistic, and visceral. From listening to the head of PR, I started to think they might be on to something. I can’t speak to the effect on my psyche from driving the new Giulia, because I didn’t, but when I do, I’ll give an update. It sure looks nice in the flesh. 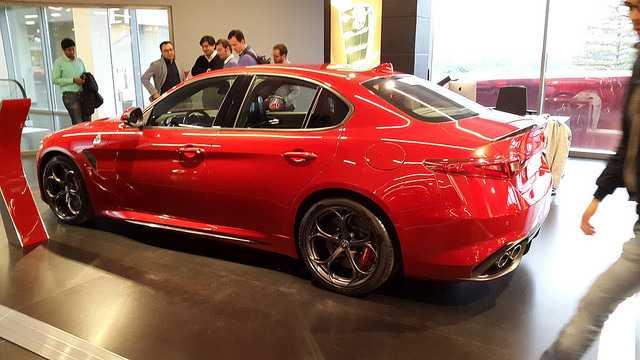 Cues from other premium compact sedans, but distinctly Italian. 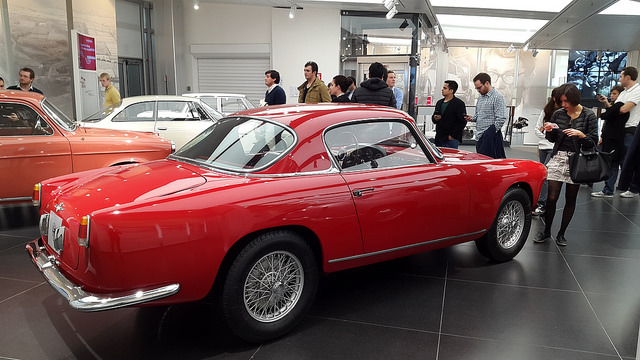 The SDA Bocconi Motor Club arranged for us to tour the Alfa museum and have a modest aperitivo after. The museum is surprisingly comprehensive, with multiple levels and models representing the entire ~100 year brand history. There are also videos, an IMAX-like 3D theater, and a guided tour is available. My favorite was a coral red Giulietta model from 1955, which looked like a Havana car to me. Perfectly preserved in a tropical hue. 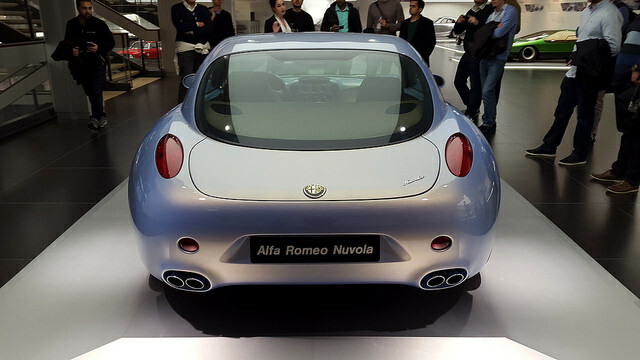 One of Alfa’s more modest models. 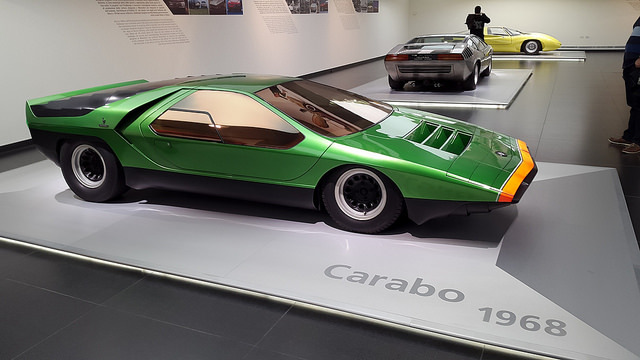 If you are in Milan, and count yourself as a car-lover, I highly suggest you trek out to Rho to see this museum. For only 8€, it’s a couple hours well spent learning about one of Italy’s strongest international brands. 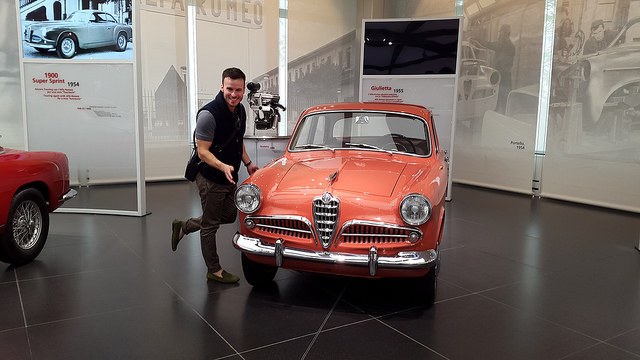 For Alfa enthusiasts, I see you taking much longer to absorb all the wonderful information and exciting history on display there.